Armory is the brutal weapon of choice when your vehicle must absolutely be victorious in the next dangerous off road operation. Straight from a battlezone, this wheel is the right weapon of choice with its bolted face - a dramatic statement of power that is perfect for the regiment of adventure minded tuners. 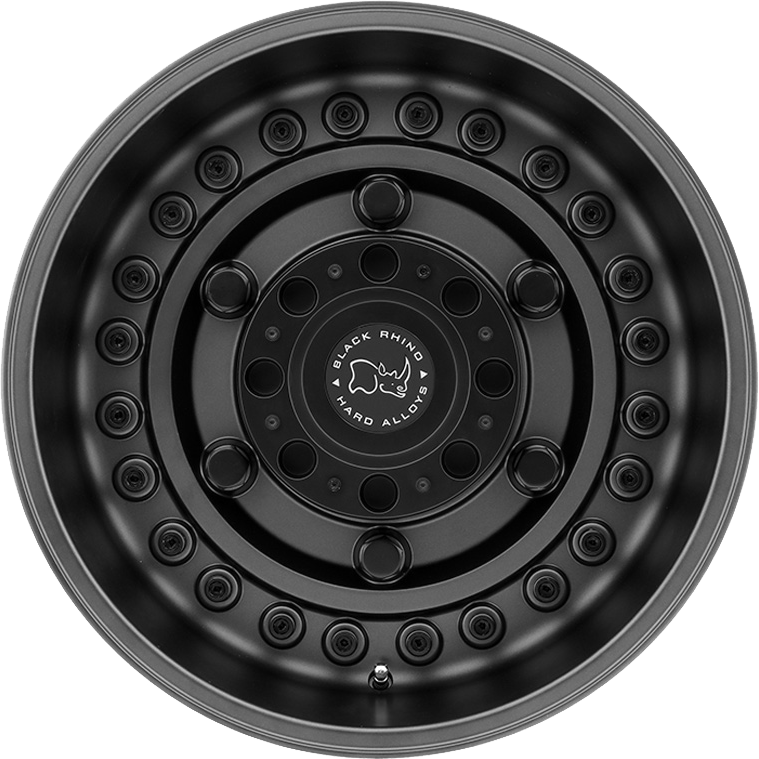 We set our sights to offer one of the most unique off road wheels from Black Rhino down to its unique center cap. This tactical style affirmatively radars an indestructible quality of explosive-proof looks to a whole new caliber. Our mission was to cover the best range of stock and lifted off highway vehicles, Armory off road rims are available in 17x9.5, 18x9.5, 20x9.5 and 20x12 sizes. Offsets range from -44 to 0mm and five, six and 8-lug bolt patterns, including a 8/180 pattern for newer GMC and Chevrolet trucks. These truck rims sport huge lips to provide safe bead seating for oversized tyres.